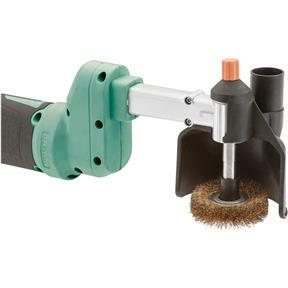 This Pro Sanding Roller features a quick-change spindle lock and variable speed for material specific applications. The adjustable guard with a 1" dust port keeps dust away from your work and the roller has a no-load speed of 1600-3300 RPM. 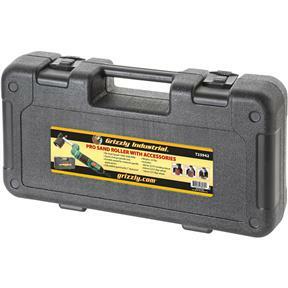 Comes with a 2-3/8" sanding sleeve, 2-3/8" flap wheel, and 3/8" flap wheel, so you'll be set to start right out of the molded plastic case. 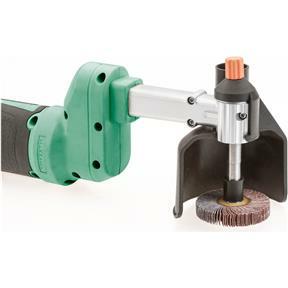 With all the accessories you can use, there's no end to what this sanding roller can do for you! This is a Christmas gift, and I know it will be appreciated. 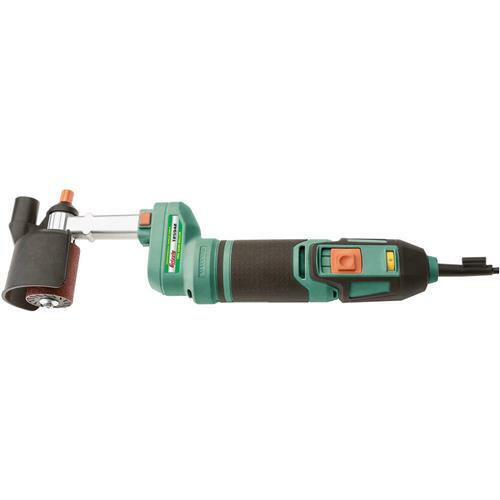 This sander greatly enhances my power sanding capabilities on inside corners especially. 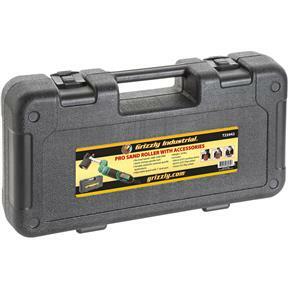 I am happy with the quality, power, and capabilities of this powered hand tool. The price and tool looks great. If Grizzly had accessories for metal work I would buy it without hesitation since the competition is hundreds of dollars. As soon as I saw the advertisement I knew this would be just the tool for my upcoming project. It is and it works just right. Will be put to good use. Needed a sander like this for a long time. Somewhat like a portable spindle sander, but has many other uses. 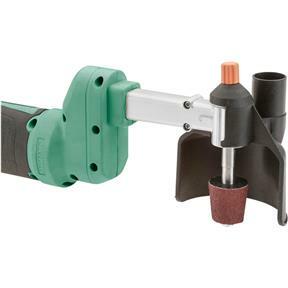 bought to sand small curves in wood and metal also to take off rust in tight spaces, this tool really simplified the work, glad I bought and even better sale priced, a win win product. And unlike my table grinder its moveable. Used it for a couple projects. Accessory sanding rolls were out of stock and size is not avail anywhere else, so stock up. Appears to be well built and engineered. Actual operational performance has not been evaluated as of this date. Purchase was based on a forthcoming project. 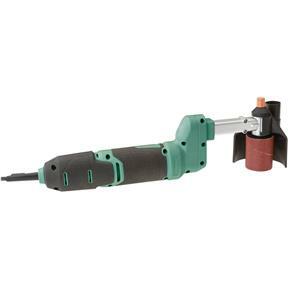 It appears that an additional accessory might be nice to allow the use of other small drilling/grinding/sanding ancillary tools via a small adjustable chuck. The Pro Sand Roller solved a particularly trick sanding task for me. Because of it's narrow width, it can reach areas that simply can't be reached with other sanders. It has plenty of power for aggressive material removal.